substances. There are many different types of T cells. cells that perform this function are known as suppressor T cells or regulatory T cells. other white blood cells communicate with each other. assumed foreign substances is known as cell-mediated immunity. HOW ARE T CELLS MEASURED? 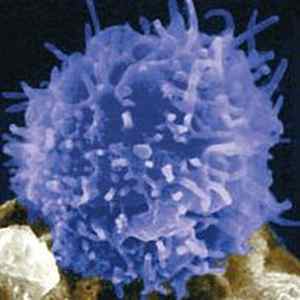 conditions, such as infections and blood diseases, there is an abnormal increase in T cells. milky fluid that contains proteins, fats, and white blood cells (which help the body fight off diseases). WHAT ELSE ARE T CELLS KNOWN AS? T cells are also known as T lymphocytes. WHY ARE THEY CALLED T CELLS? chest, just above the heart.